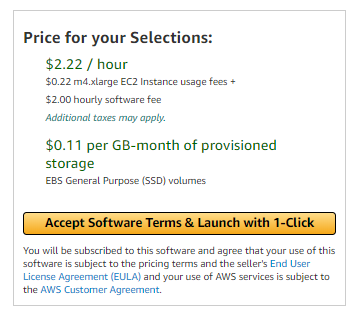 Ubuntu 14.04 on AWS EC2. 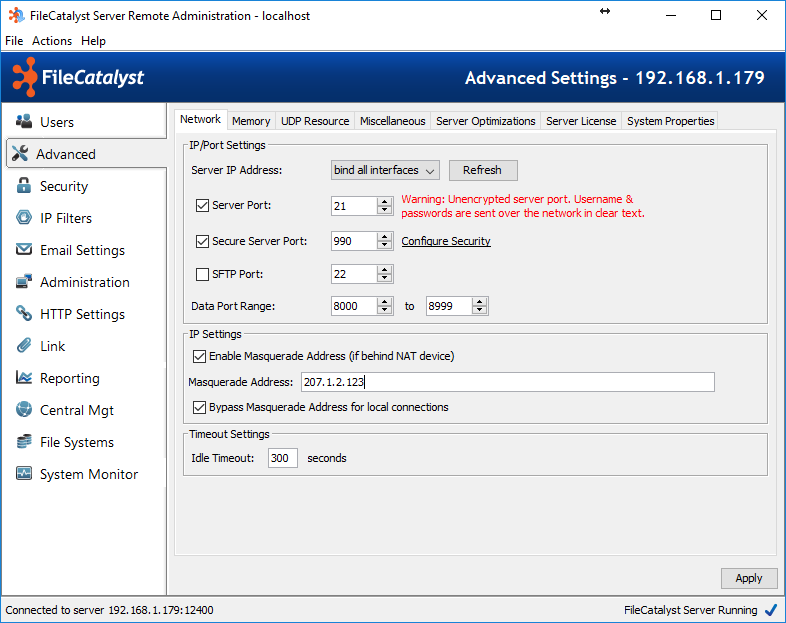 FileCatalyst Direct Server v3.7.2 Build 6 and newer. 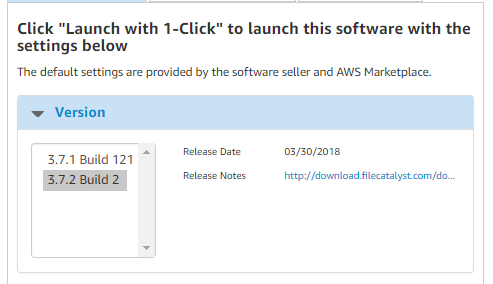 From the AWS Marketplace search for FileCatalyst and from the results select “FileCatalyst Direct Server Hourly Billing”. To create and launch an instance click on Continue to Subscribe. 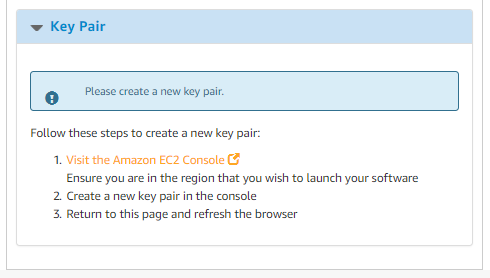 You will need to have an AWS Account to continue. Please note that this will spin up FileCatalyst in an Ubuntu OS. We are going to use v3.7.2 build 6 for this document. Note: The maximum speed achieved depends on a number of factors, disk speed, networking options etc. Contact support for additional assistance when trying to achieve high speeds. Networking options are preset in this installation. 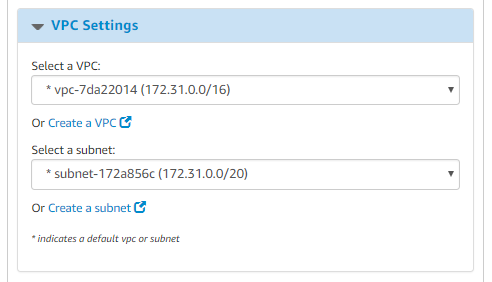 You can either use the preset values under the VPC Settings tab or create your own VPC and Subnet(s). Please make sure your VPC has connectivity from the outside. Please refer to AWS VPC Guide for more information. 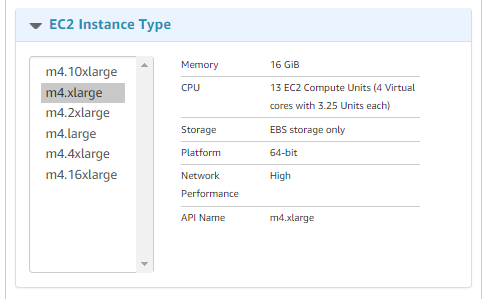 These settings can be modified after you launch the instance. Check your browsers download location for the PEM file that was downloaded. 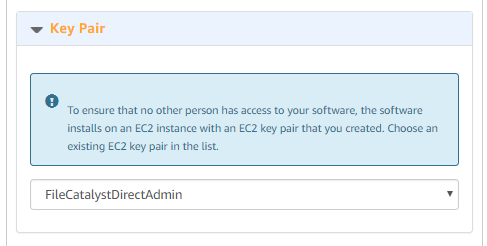 From our EC2 Console connect to the instance using PuTTY (If on Windows) or using any SSH client. Right click on your instance and hit connect. On your first connection, the FileCatalyst Server will already be installed, licensed and running. 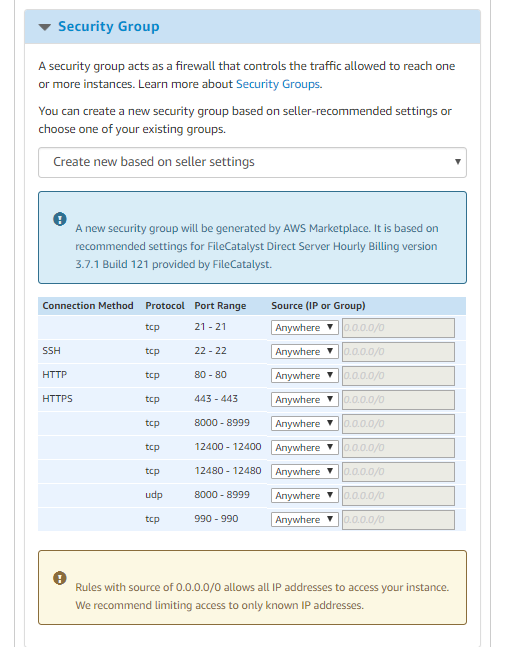 You will need to enable the Masquerade feature in the FileCatalyst Server so that external clients can connect to the deployment using the Public IP. In the PuTTY terminal look inside /home/ubuntu/ for a README.txt. This file will contain instructions and credentials which you can use to connect to the FileCatalyst Server. Contact techpartners@filecatalyst.com for download credentials. Please make sure the build is v3.7.2 Build 6 when downloading the Server Admin. Open your FileCatalyst Server Remote Admin and click on the Advanced tab. In the first row, you will see the Network tab, click on it. 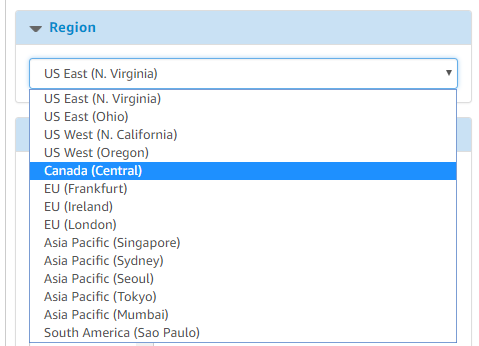 Locate the IP Settings section and Enable Masquerade Address. Enter your Public IPv4 address in the Masquerade Address field and hit Apply. This step will allow the FileCatalyst Server to broadcast the Public IP of the machine rather than the Internal IP.